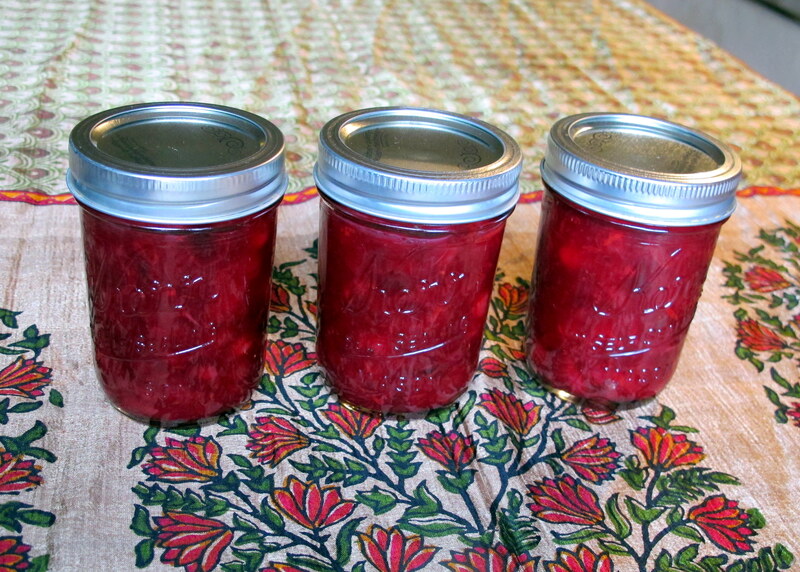 Cranberry sauce is the easiest jam you will ever make. I promise. 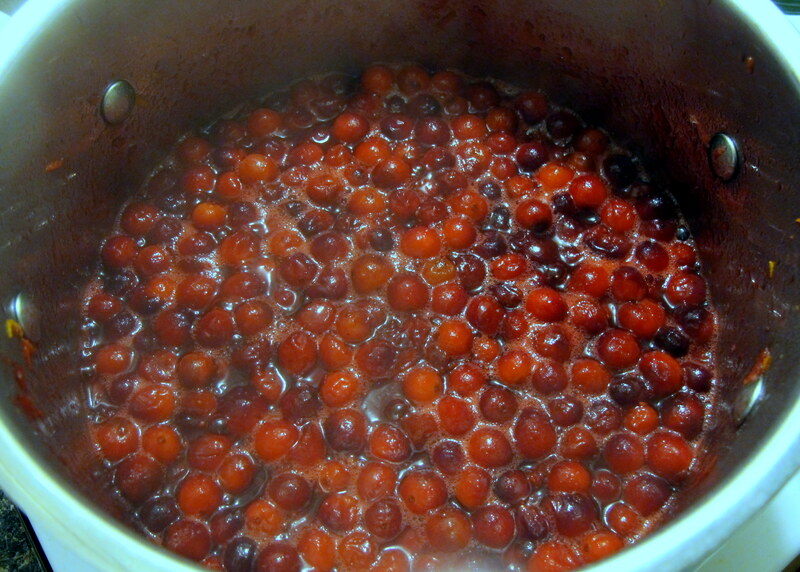 Cranberries are high in pectin – well, their skins are – so that they will thicken up quite nicely without any help from you. 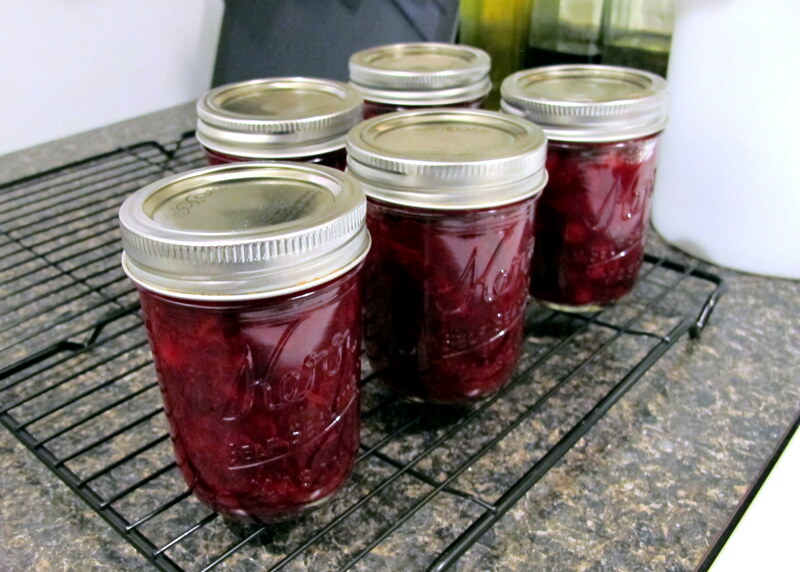 All you need to do is add sugar to your taste and some water and you have a very basic jam that tastes great but a few adjustments can make it taste even better. Cranberries are considered low FODMAP, however, like any fruit, don’t go overboard because it is the fructose (or FODMAP) load of the entire meal that counts. Fruit juices, even those from safe fruits, should be consumed in very limited amounts. Freshly squeezed juices aren’t nearly as bad as the concentrated fruit juices you get form the supermarket, though, as they have no added sugars and are not concentrated down into a thicker, sweeter juice. Still, moderation is key. Adding dextrose (a disaccharide that is 100% glucose) can aid with co-transport of any free excess fructose of not just the jam but the entire meal – to a point. It’s always best to err on the side of caution when huge meals are eaten and you may or may not be tempted by goodies that have an unfavourable fructose-glucose ratio… like mangoes. Yum. 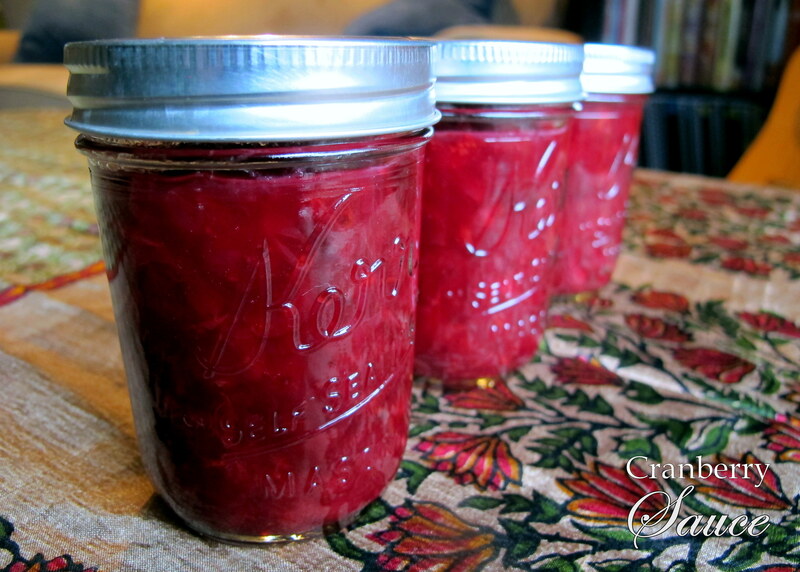 Makes 5 x 1/2 pint jars. Done! 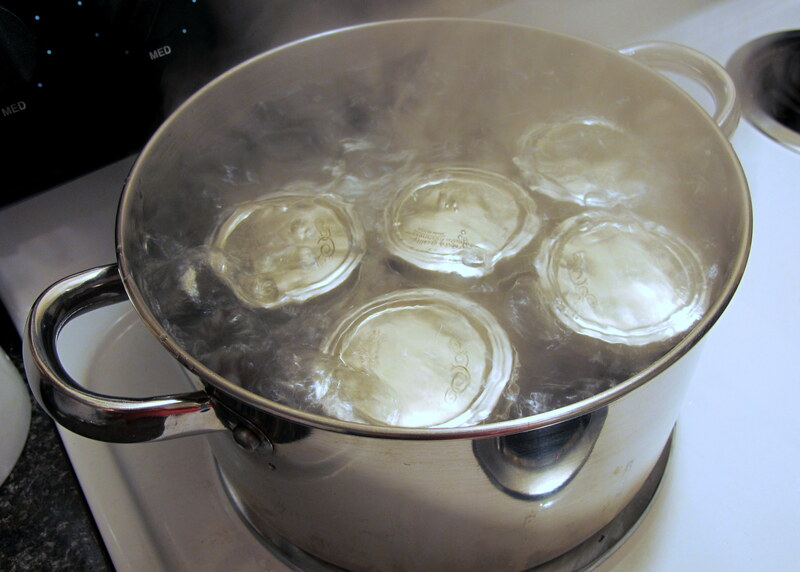 Let the jars cool properly – for at least 12 hours – before testing the seals with a magnet. 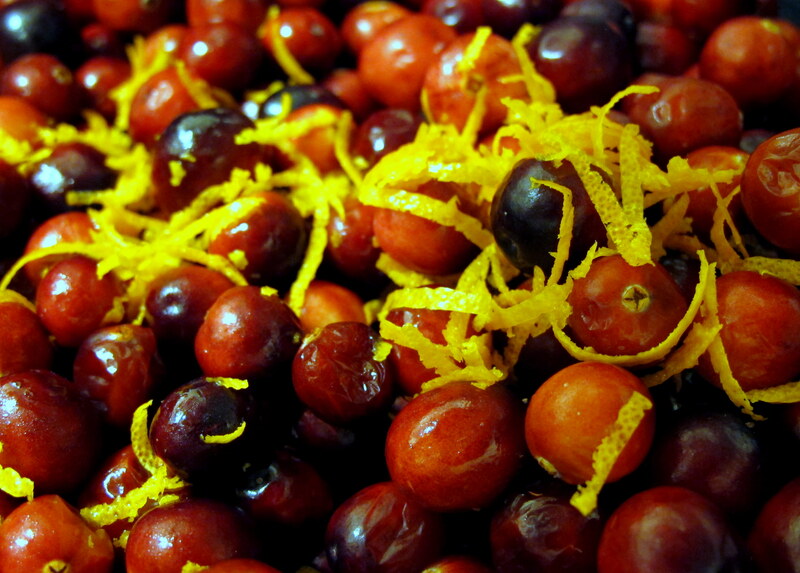 If any do not pass, then either reprocess or freeze them, or refrigerate them for use within a week or two. If you are gifting them, tie a piece of rough twine around the rim with a label attached, then place them in a brown paper bag for a rustic look. This entry was posted in Breakfast, Christmas Recipes, Fruits, Sweets and Desserts and tagged canning, Chicken, Christmas, cranberry, cranberry jam, cranberry sauce, cranberry spread, dessert, dinner, FODMAP, FODMAPS, food, fructose friendly, fructose malabsorption, fruit, gluten free, healthy, home-cooked, homemade, jam, jelly, low fat, low fructose, preserves, spreads, sweet, tart, turkey, vegan, vegetarian. Bookmark the permalink.